When you are inquiring for replacement turbocharger we will ask you for the part number of the turbocharger currently fitted to the vehicle. There are two numbers that will normally identify a turbocharger. 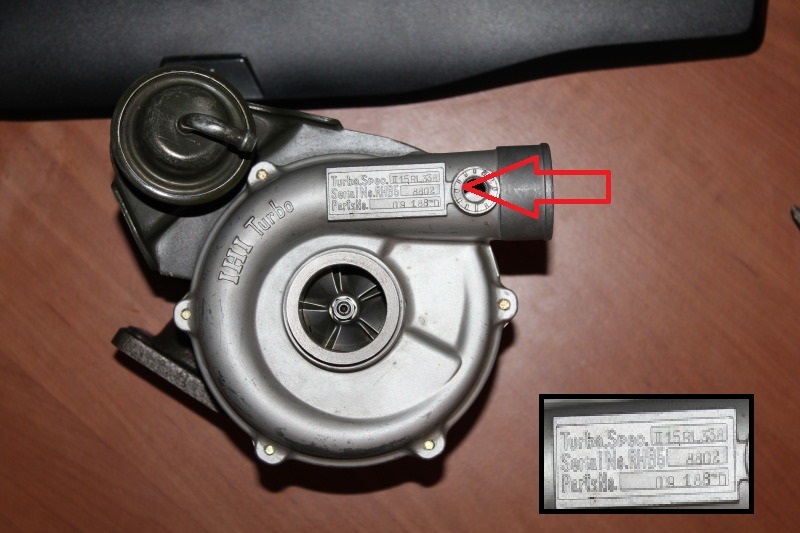 The OEM Part Number (Original Equipment Manufacturer Number) or the Turbo Manufacturer Part Number(usually 6 digit). To clarify O.E.M. is the Vehicle Manufacturer such as Audi, BMW, Ford etc. To obtain The OEM number for your turbo you can contact your local main dealer parts and asked them for the OEM number (you would have to provide them with your car registration number). 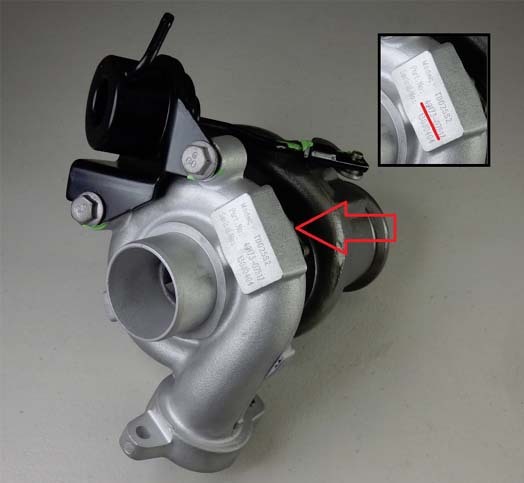 You can also read the number from the turbocharger identification plate once is removed by your mechanic or you might be able to read it when is still assembled in your car. The OEM Number (Original Equipment Manufacturer Number) is normally issued by the vehicle manufacturers such as: Mercedes, BMW, Audi, Ford, Toyota, VW etc. and can also be found engraved on the identification plate on the turbocharger. 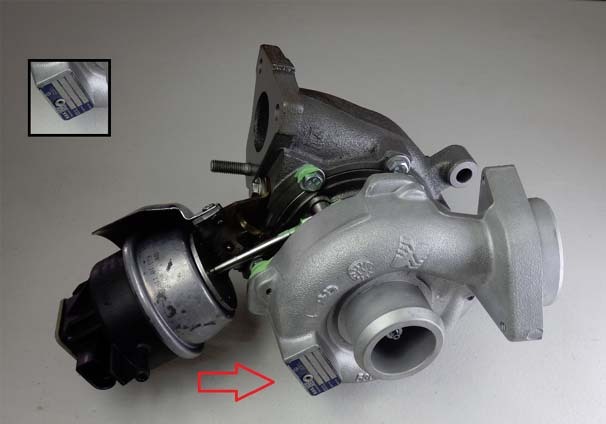 Below you can find turbocharger manufacturer part number examples. A Garrett part number consists of 6 digits, followed by a dash and additional digits. These turbochargers normally have numbers engraved on a flattened area on the air intake side of the turbocharger. A Mitsubishi or MHI part number consists of a 5 digit prefix, followed by a dash and an additional 5 digits. The part number will either be located on a tag that is attached to the compressor cover of the turbo or it will be cast and stamped into the alloy of the compressor housing. On occasions the Mitsubishi part number is abbreviated and the last two digits of the prefix would be used, followed by the additional 5 digits. An IHI part number contains letters and numbers. Please see the following examples of IHI part numbers. The part number or SPEC is located on the alloy compressor cover of the turbocharger and will be stamped on. There is a series of numbers on the cover, which include the model number and part number.